I was born in Madison, WI. I was homeschooled for preschool by my Aunt Cathy, who since has gone back to school to earn a teaching degree and is now an elementary school teacher in McFarland. I moved out of Madison when I was 8 to a smaller farming community about 25 minutes outside of Madison called Lodi, where I graduated from high school. Growing up I was always a three or four sport athlete, playing football, baseball, basketball, and track. In high school I only played football and baseball choosing to spend my winters snowboarding and skiing at Cascade Mountain instead of playing basketball. 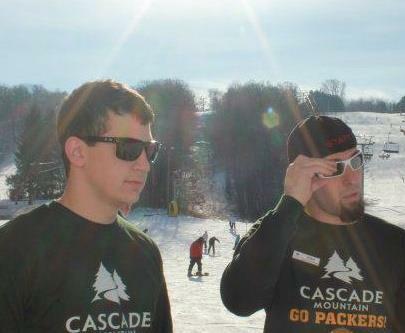 My sophomore year in high school I got a job at Cascade as a snowboard instructor and I still spend part of my winter breaks working there. My junior year of high school I switched from playing baseball to golf and made the reserve team my first year. My senior year of high school I became certified as a snowboard instructor under AASI (American Association of Snowboard Instructors), and also joined the local Ski Patrol. 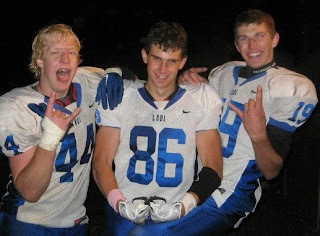 After high school I began studying at the University of Wisconsin – La Crosse where I am currently a sophomore. I am majoring in Microbiology with a Biomedical Concentration and a Chemistry minor, and hope to one day do cutting edge research to better the health and welfare of people in developing countries. My freshman year at UWL I pledged to the Chi Phi Fraternity, a social fraternity that is the oldest in the world being founded in 1824 at Princeton College. My brothers and I actively give back to the community mainly by hosting philanthropy events, the most recent of which was Sara Softball. Sara Softball was a charity softball tournament dedicated in memory of Sara Hougom (a victim of violence) and all the other victims of violent acts. At camp I’ll be instructing wakeboarding, golf and fishing. If you could have lunch with any two people, dead or alive, who would they be? : Dr Paul Farmer, because he spent his career bettering the lives of the sick in Haiti, Peru and Russia despite having the option of staying in America to earn money and live a comfortable life.Robert F Kennedy because I believe he is an inspiration for all who see unfairness in the world. It is one thing to fight for your own rights but it is another to fight for someone else’s rights when nobody else will. What noteworthy/random/menial jobs have you held? : I was a paintball referee for a couple of months in high school, and I have been a snowboard instructor for five years now. What did you do last summer? : I worked in a canning factory in my hometown where we canned peas and corn. I worked in the cook room and operated a big crane to pick up crates of cans from the cookers and move them into a cooling canal. What, if any previous camp experiences have you had? : I have never been to summer camp but I have spent part of my summers at my friend’s cabin in the Ozarks of Missouri. This entry was posted in 2013, Staff on April 30, 2013 by Dan Lichtenstein.